At Mora we want our children to have a broad and balanced curriculum where they learn new skills and have plenty of opportunities to be creative. Music is the perfect subject to engage and inspire children and allow them to discover their talents. Music also helps to increase a child's self confidence and sense and achievement and enables them to express themselves in a different way. 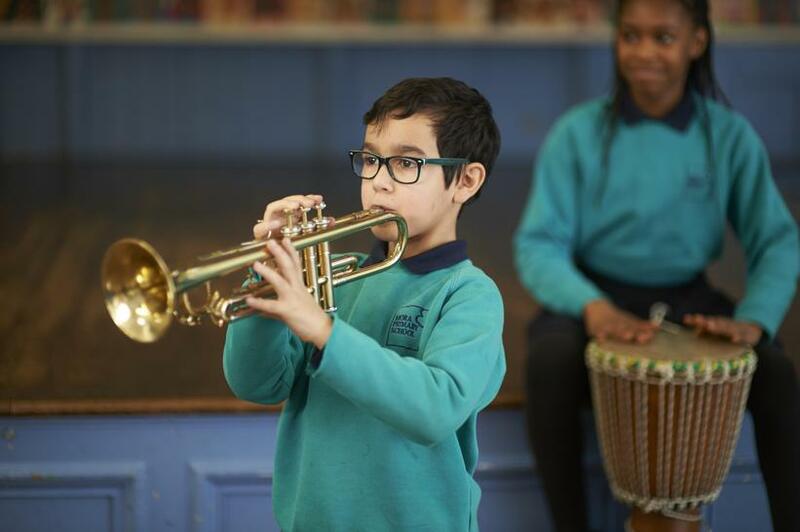 Every class has a weekly music lesson, taught by a specialist music teacher and they have weekly singing assemblies.